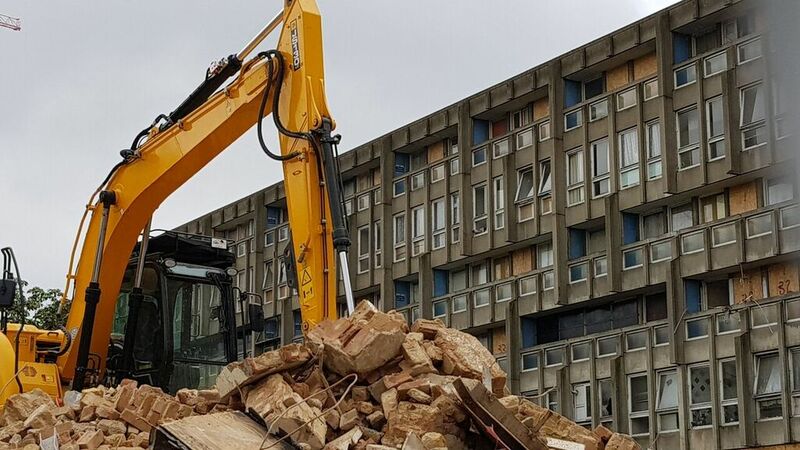 The Robin Hood Gardens public housing complex in East London has finally met the wrecking ball. After years of protests from locals, architects, and critics, local authorities at the Tower Hamlets council chose to ignore pleas for the Peter and Alison Smithson–designed project and demolish it to make way for a new development. Built in 1972, Robin Hood Gardens was the realization of the illustrious pair’s “streets in the sky” concept. 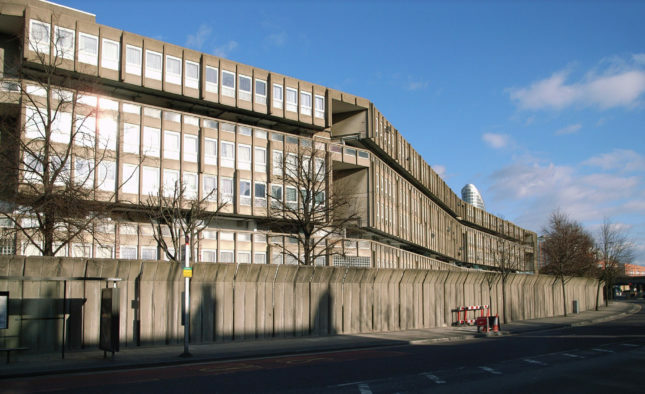 A Brutalist icon, its demolition was protested by architects Richard Rogers, the late Zaha Hadid, Robert Venturi, and Toyo Ito, as well as numerous critics including Jonathan Glancey who argued that the building should be turned into student housing. The Twentieth Century Society, too, also campaigned tirelessly for its listing which Heritage England rejected on the grounds that it was not architecturally significant. Situated by East India Quays, the housing complex was just a stone’s throw from Canary Wharf, London’s financial hub. In many ways, it was a fitting counter, stylistically and programmatically, and was a symbol of resistance. From inside the Robin Hood Gardens’ green space—located between the two concrete blocks—the glass towers of Canary Wharf (such as One Canada Square ) could be seen poking over the housing units. Financial capital was seemingly stopped short of knocking down social housing. Except it did. Developer Swan Housing Association will be building Phase Three of “Blackwall Reach,” a new housing complex that will see 1,575 new homes added. Three firms—Haworth Tompkins, who won the 2012 RIBA Stirling Prize, Metropolitan Workshop, and CF Møller—are involved. The new scheme will keep the grassy mound that defined the previous project and the new units will be “affordable” dwellings. In the U.K., however, “affordable” is a loose and often redundant term as it means units can be priced at up to 80 percent of the market rate. This means some apartments can cost $1,855 per month. Instead of destroying the Smithson’s work, a better option would have been to emulate what Urban Splash did to Park Hill Estate, another Brutalist social housing icon in Sheffield. Here, units were spruced-up and drastically improved, while the local area maintained its post-war heritage. Alas, it is too late. Robin Hood Gardens is no more, and with it goes another icon of the egalitarian post-war principles that shaped Britain and London.